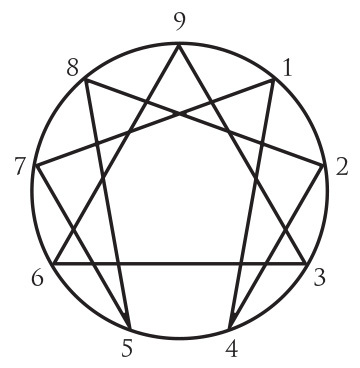 The Enneagram is a “map” of the human personality, a map that allows us to see where we have been and where we are at any given time. It shows us how we might be feeling, what we might be thinking, and why we might be behaving in very predictable ways. It also shows us a path to the transformation of our own consciousness! You will discover that your Personality Type is not "who" you are. It is how you have learned to be based on your innate gifts. This personality has helped you get your needs met and has given you an identity that feels solid. It works continually and with great effort on your behalf. Unfortunately though, you have become so good at "behaving and seeing" a certain way, that you have likely lost sight of your Essence or True Nature. The insights we discover in this work help us to relate to others in ways that respect who they are and that help us to Be our best selves in those moments that can be challenging. We will begin to notice that our relationships with our partners, children, parents, co-workers, clients, friends and strangers become more mutually satisfying and meaningful. This website will give you a brief and partial overview of a few of the basic concepts of the Enneagram – the Passions, the Fixations, the Avoidances and Traps, and the Virtues. There are many other concepts that continue to provide depth and breadth to this profound system of self discovery and potential transformation. Understanding the unique facets of your personality type will start you on your journey to becoming the balanced and integrated human being that you were born into this world to be. I hope you will browse this site for a sampling of the nine Types and some of the basic concepts of the Enneagram. I also invite you to find more detailed information at www.enneagraminstitute.com.